Did you know that you can quilt in the snow? 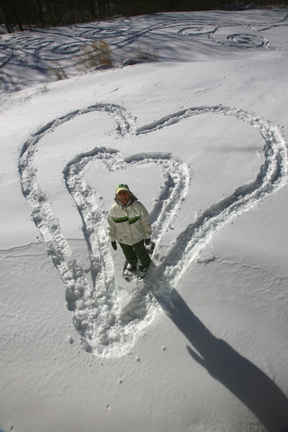 This is my “quilted” heart made with my snow shoes. In the background you can see some more of my designs in the snow. Lots of fun and great exercise too! Thank you for your interest in my fiber art and workshops. 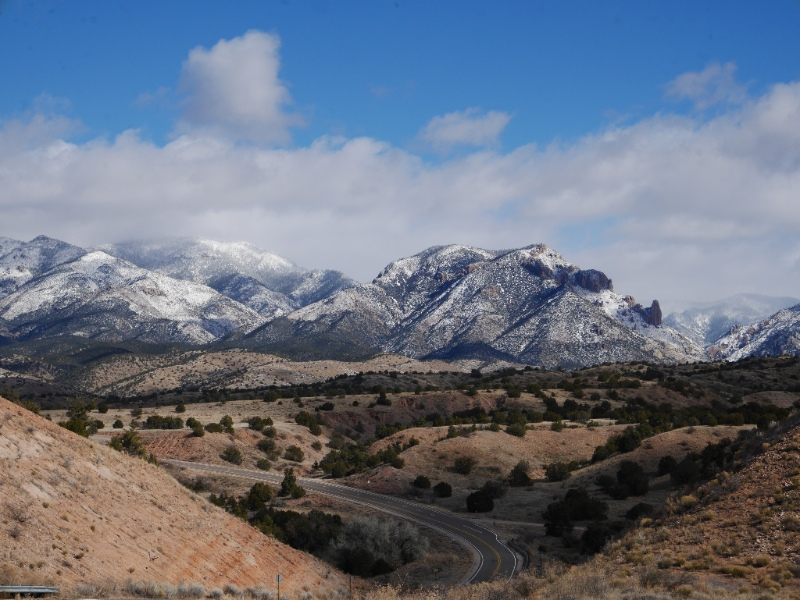 During the Fall and early Winter I didn’t get much studio time in…I was on the road teaching workshops and also enjoyed a few family trips. 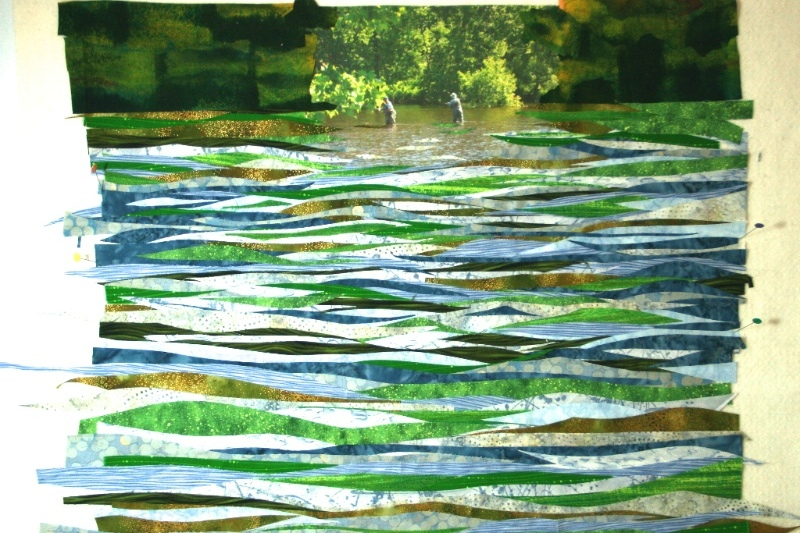 I did manage to create a fabric collage for the Farmington River Quilt Project. I’ll share that process with you along with a few new things I tried in making a t-shirt quilt for someone very young at heart, my Dad! What a great way to start the year. 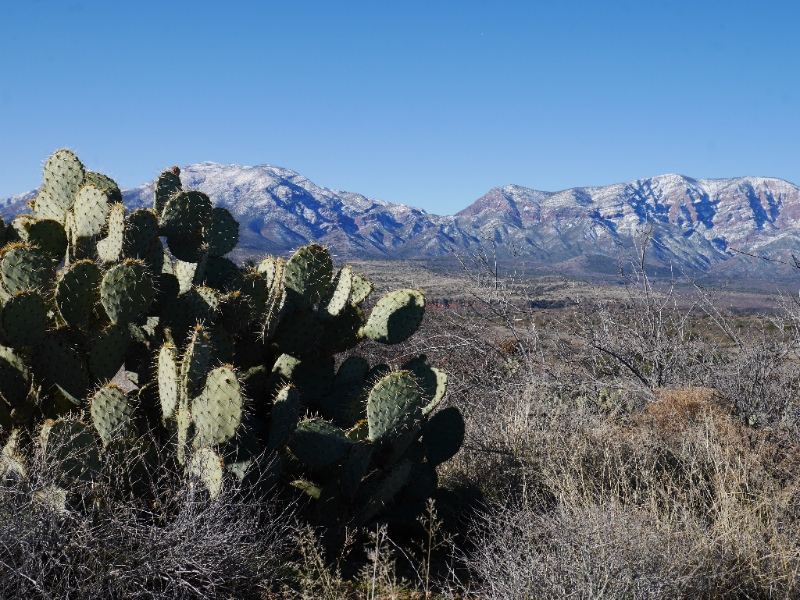 A 5 day retreat in warm Arizona during the cold winter month of January. 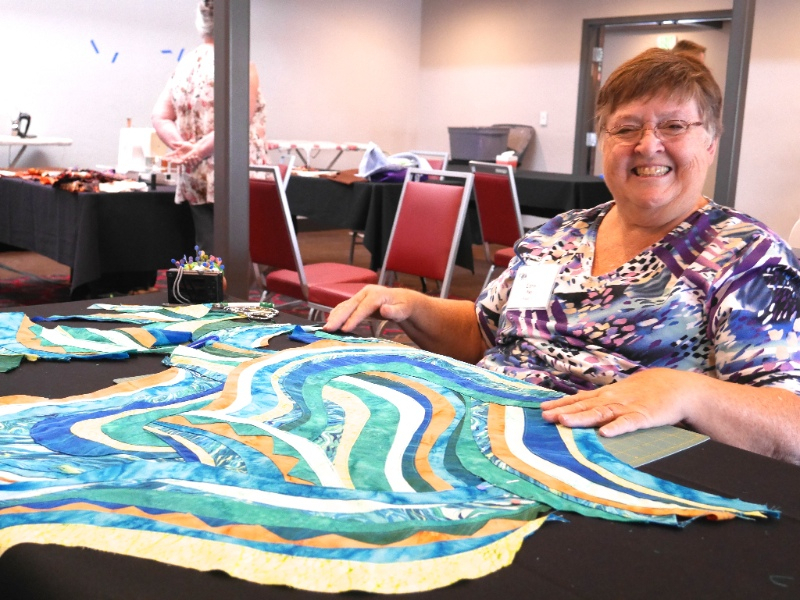 I taught a 2 day Happy Villages (fabric collage) workshop and a 3 day “Let’s Make Waves” workshop (aka Layered Waves or Wild Waves: my topstitching technique). 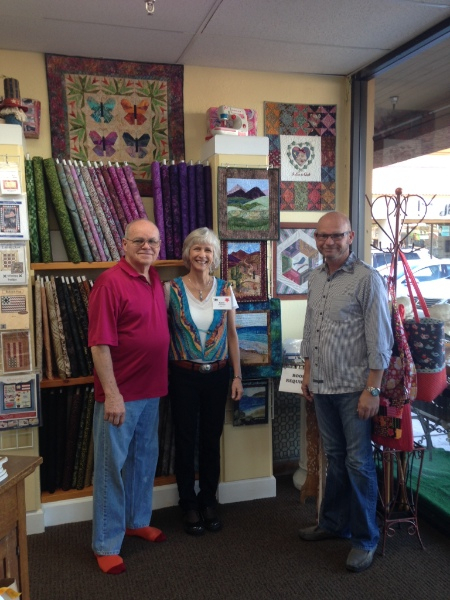 I finally got to meet two of the three dudes of 3 Dudes Quilting in Phoenix, Ray and Jeff! Here we are next to their awesome display of Accidental Landscape samples, books and fabric kits. 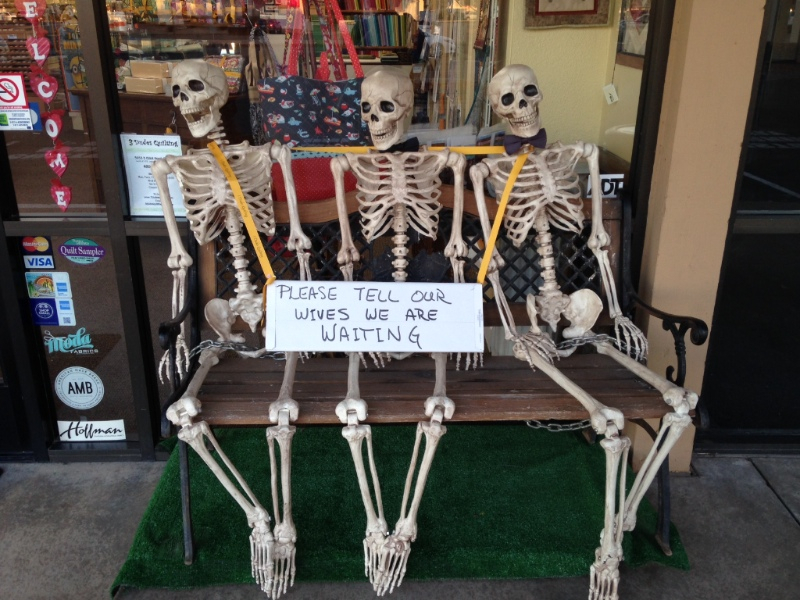 And look at these poor guys who hang outside of their store on the bench waiting for their wives! It was a real treat to teach the Happy Villages class as a 2 day workshop. Look at these great villages! All so unique. 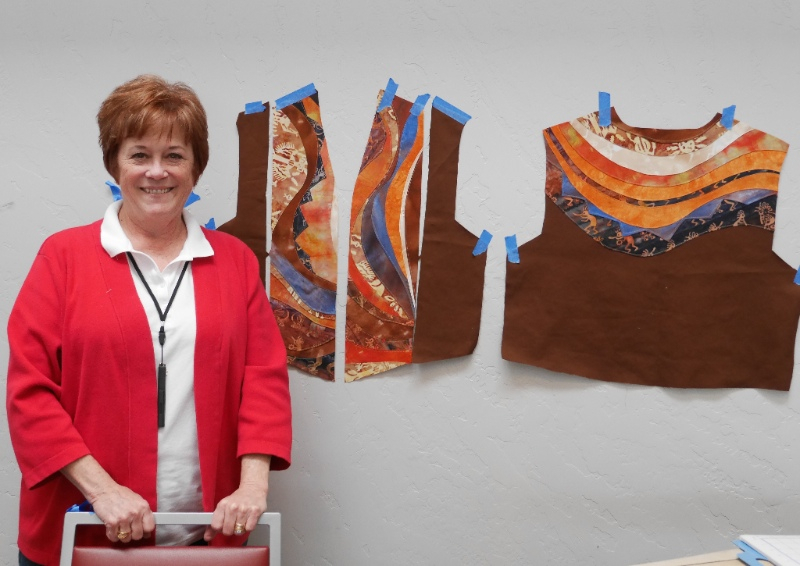 Trudy with her Southwest waves that she will be modeling soon as a vest. Edna (all the way from Hawaii!!) with her gorgeous waves of blue and green. 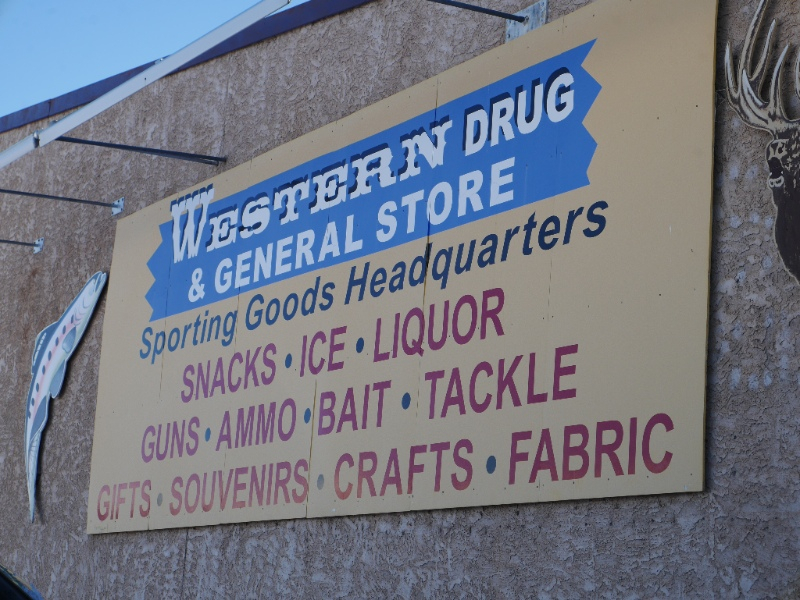 This is not your typical quilt store! No need for the men to sit outside on the bench when their women folk are inside buying fabric here. 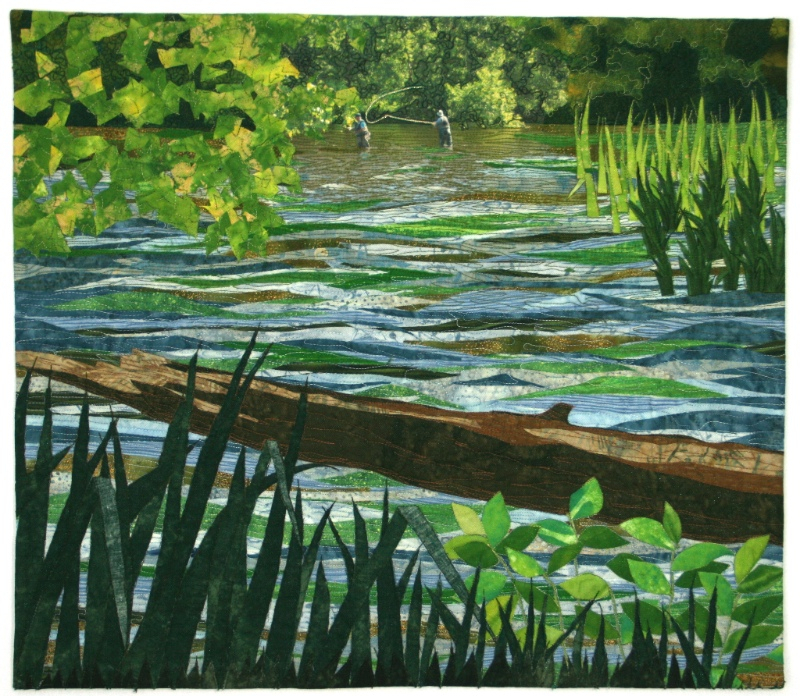 This project is the brainchild of Connecticut fiber artist, MaryPat Leger. 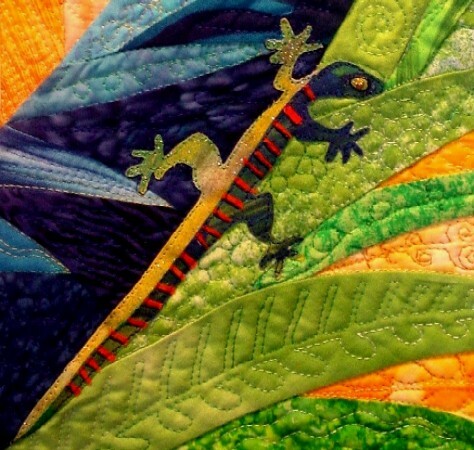 The 50 foot long quilt will make its debut at the Winchester Center Congregational Church Quilt and Needle Art Show on April 23-24, 2016 and then travel to different shows. If you live within driving distance, please come for a visit! 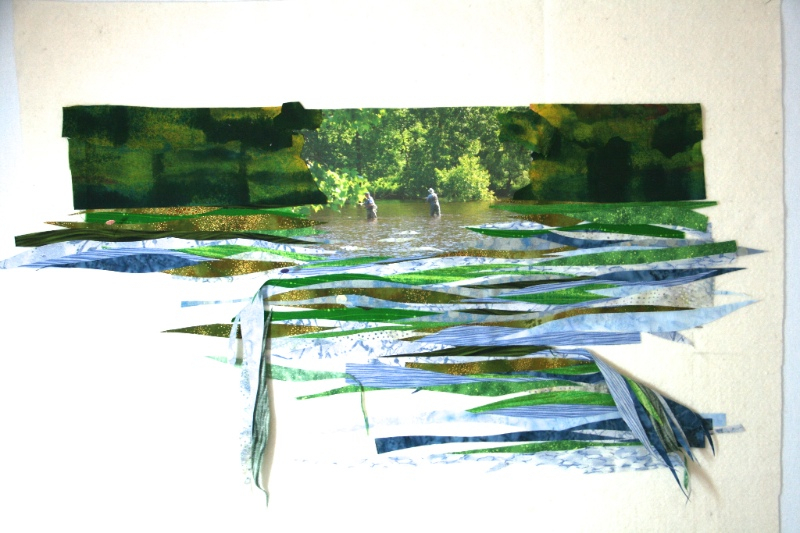 All sections will be donated to the Farmington River Coordinating Committee in Barkhamsted, CT and will be used to promote their work in protecting the Farmington River. Each artist was assigned a different “pool” section of the river. My section is called Greenwoods Pool. 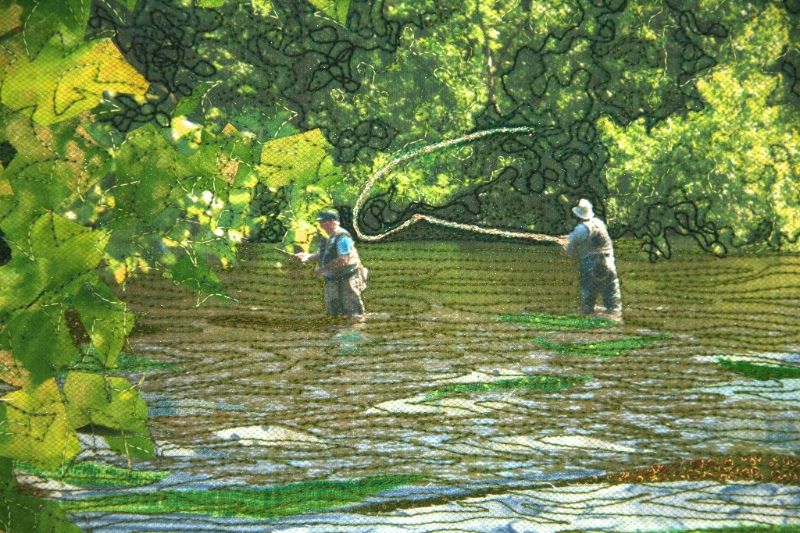 I based my fabric collage on a photo transfer of two fly fisherman who were laughing, talking and exchanging fish tales. They were especially fun to watch, because the one was teaching the other the fine points of fly fishing. Above are some photos of the collage process. 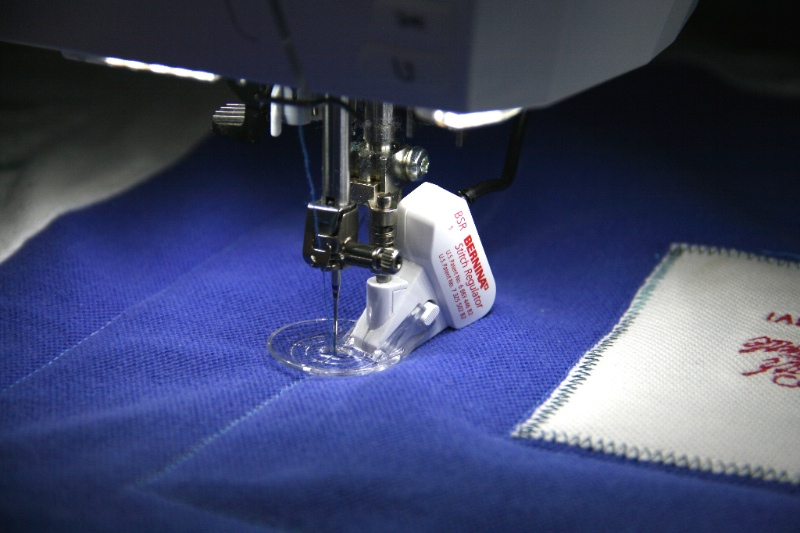 The fabric strips and shapes are lightly glued to a cotton batting. Then I added a layer of tulle before quilting. Most of the fabrics used are my own handpainted cottons. T-Shirt Quilt – what I learned! 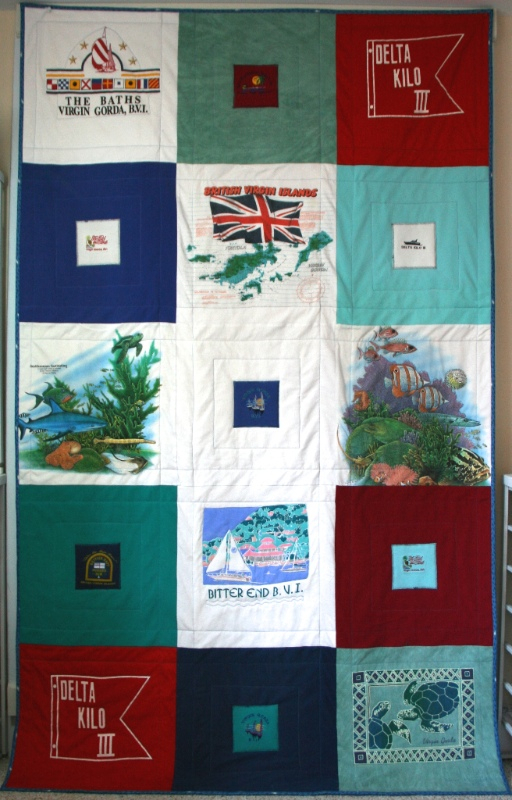 Out of all of the quilts I have made for my family over the years, how come it’s always the t-shirt quilts that are the most cherished! I guess it’s all of those wonderful memories that we can literally wrap ourselves up in. I’ve tried many different approaches over the years to stabilize the t-shirts. In this quilt I tried something new for me…. Heat & Bond Feather Lite, paper backed fusible and was very very happy with the results. The t-shirts remained stable to piece and once the paper was removed, they had a very soft hand, not stiff at all. 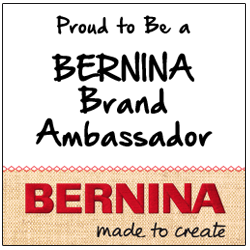 Also, for the simple straight line quilting, I found the BSR (BERNINA Stitch Regulator) extremely helpful. This task would have been very difficult using the walking foot, because the heavy quilt (t-shirt quilts ARE heavy) would need to be constantly turned. Reducing the pressure on the presser foot from 50lbs to 20lbs also helped to work with the stretchiness at the quilting stage. 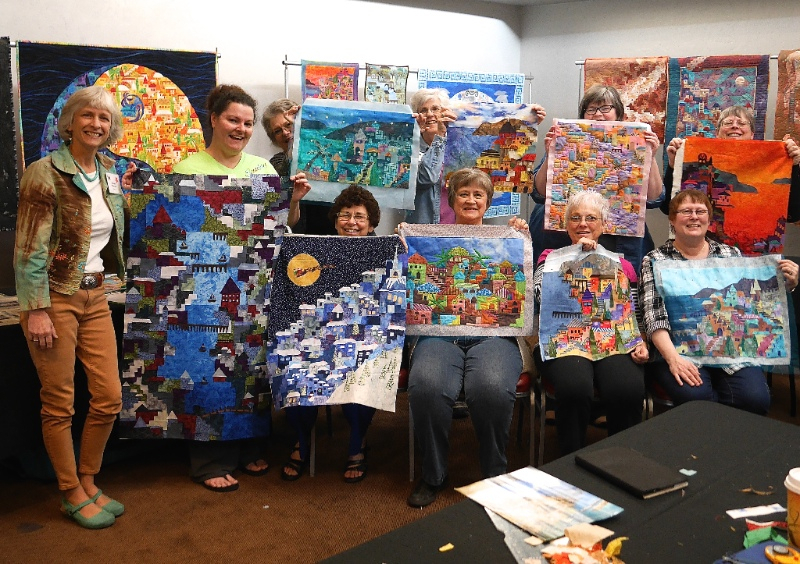 Peace River Quilt Guild Retreat and Guild meeting, Haines City & Punta Gorda, FL Feb. 22-27 (2/23Accidental Landscapes: Beaches workshop (retreat), 2/24 Happy Villages workshop (retreat), 2/26Happy Villages & Accidental Landscapes lecture 2/27Happy Villages workshop (guild).